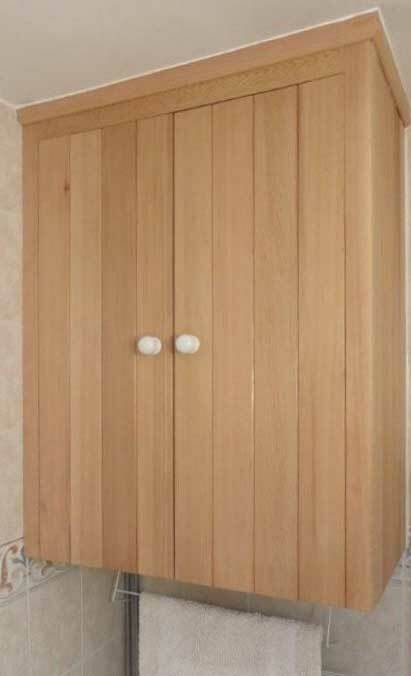 A waterproof cupboard made from cedar to go into a wet room. The client, Mrs Cathy Lee needed a storage cupboard with easy access within her wetroom. Cedar was chosen for the construction as it is decorative, aromatic and proven to be resistant to humidity and temperature changes. It is however an expensive material and can be tricky to work with with. Mrs Lee was however extremely pleased with the result. She has tested it out under extreme conditions and will be recommending me in future. A good result all round I feel.